Come and discover the Caribbean’s productive waters aboard a luxury boat. The local team will cater to all your needs as you explore some crystal clear waters, dazzling fish, and indulge in true holiday fashion. With the Twin Hooks team, you’re in for the best service around. 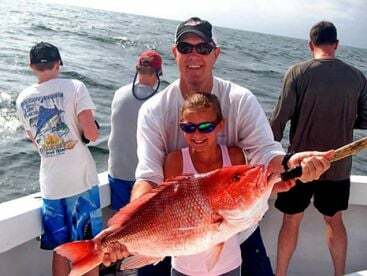 Their top priority is to provide their guests with an exciting day of fishing. That’s why all trips include soft drinks, bottled water, beers, and fishing licenses at no additional charge. 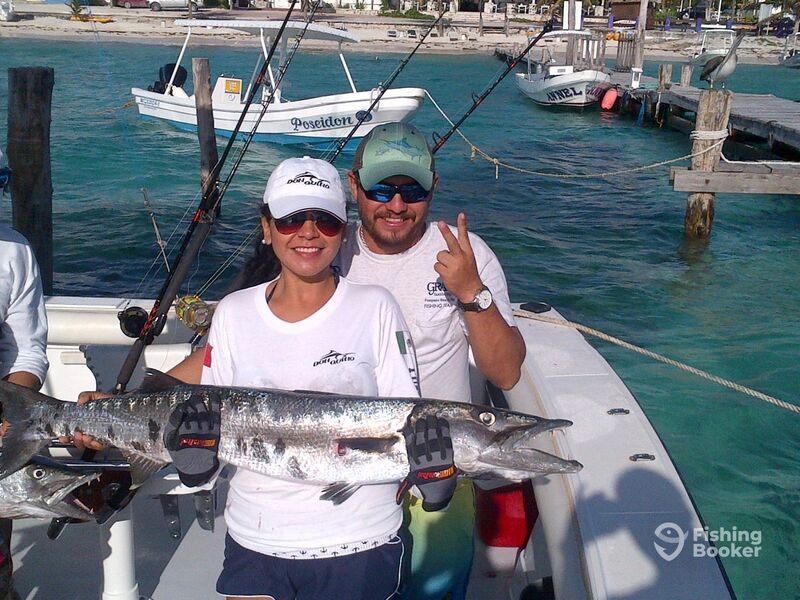 Your captain, Abraham Otero, has been fishing the productive waterways of Mexico all of his life. Although he holds a degree in gastronomy, in the end, his passion for fishing was just too strong to ignore. 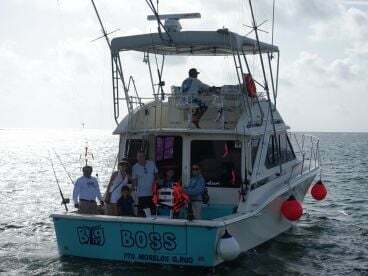 Since the fleet is comprised of 3 boats, there is a chance that you will be fishing with either Captain Roberto Vargas or Captain Abel Zetina, both seasoned captains and with the same degree of experience and knowledge as the fleet’s owner. 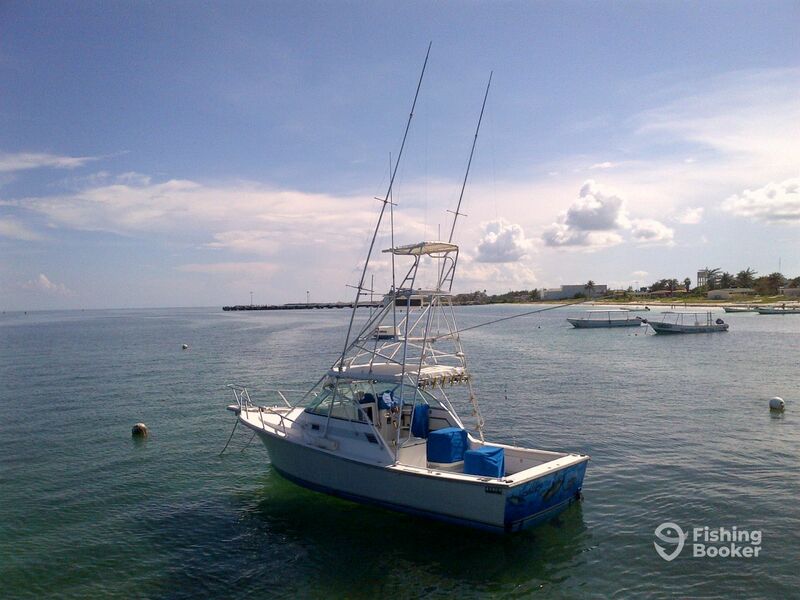 The Galileo is a 31’ Shamrocks boat, with a maximum capacity of 5 guests. The boat comes equipped with all the fishing gear needed for your fishing adventure, complete with a range of navigational and fishing technology, including GPS, radio, and fishfinder. The vessel also features a single fighting chair as well as a bathroom on board. Capt. 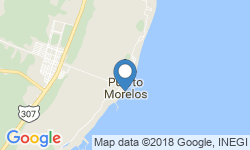 Abraham restaurant and Marina Pelicanos is just 15 minutes south of Cancun. The added advantage of booking a trip with him, is that the crew will cook your catch for free in his restaurant. On full-day trips, lunch is also included in the package, so you’ll want for nothing all day long. 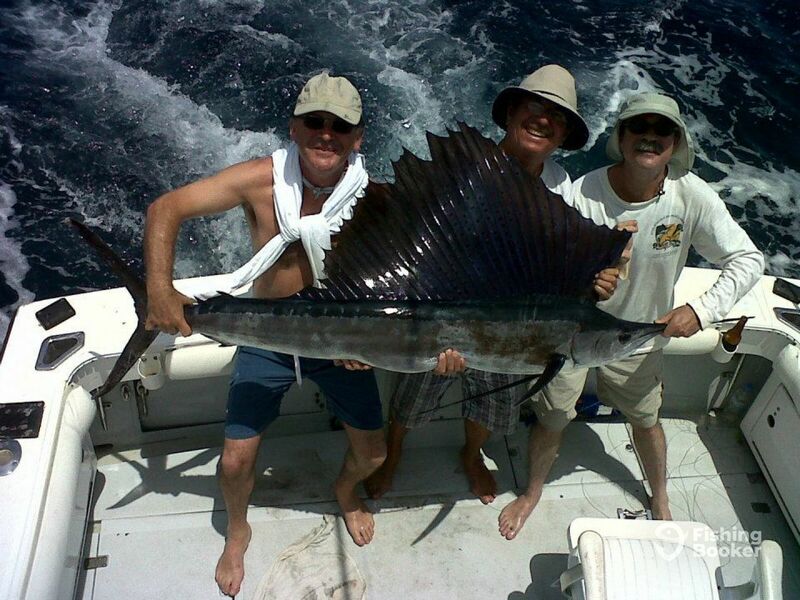 You’ll be trolling for Marlin (both Blue and White), Sailfish, Wahoo, Mahi Mahi, and many more exceptional fish. 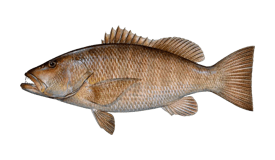 Bottom fishing for Groupers and Snappers can be organized as well. 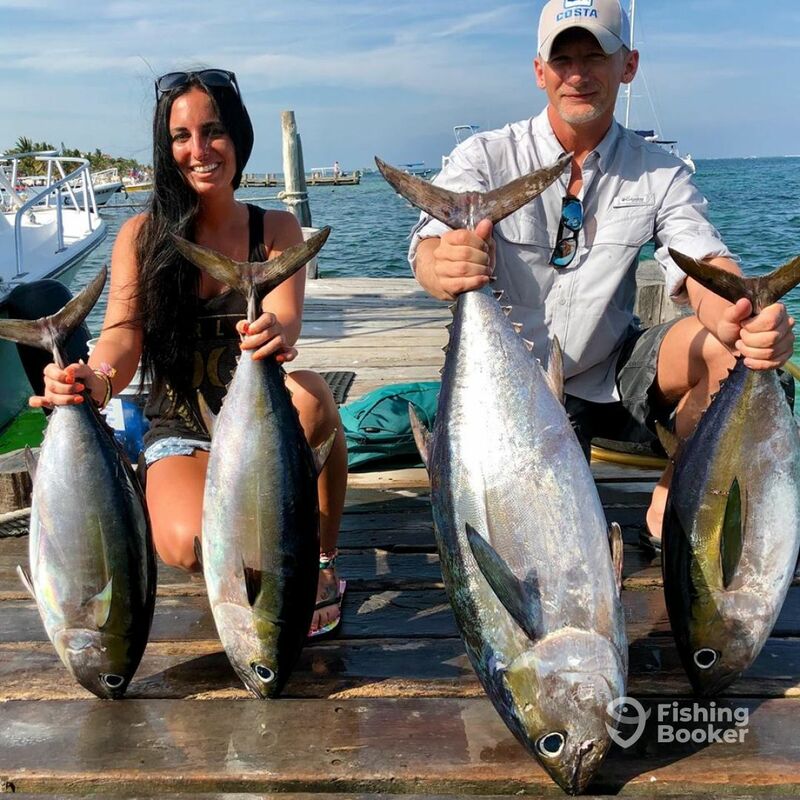 Get offshore and get engaged in some thrilling fishing in Mexico’s Caribbean waters with Twin Hooks! Get the most out of your trip to Cancun, as you explore the Caribbean's prolific waters. Spend 8 hours on the water and explore it all, from the productive reefs to the deep offshore seas, and even more. 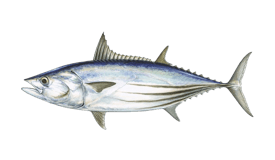 Troll the open seas for monster Marlin, Mahi Mahi, Tuna, Wahoo, and more. You'll be the envy of every angler all over the world if you land one of these beauties. 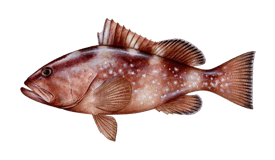 Nearshore, bottom fish for Groupers, Snappers, and more dazzling fish. Break up the day with lunch and take advantage of the free beer too! Spending 6 hours on the water gives you that extra bit of time to explore a range of waters. 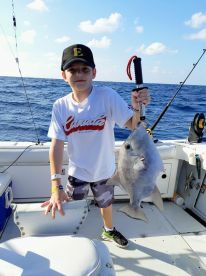 Head to the nearshore reefs and bottom fish for the bite of some prized Groupers and Snappers, or head offshore to the deep waters in search of Pelagics. 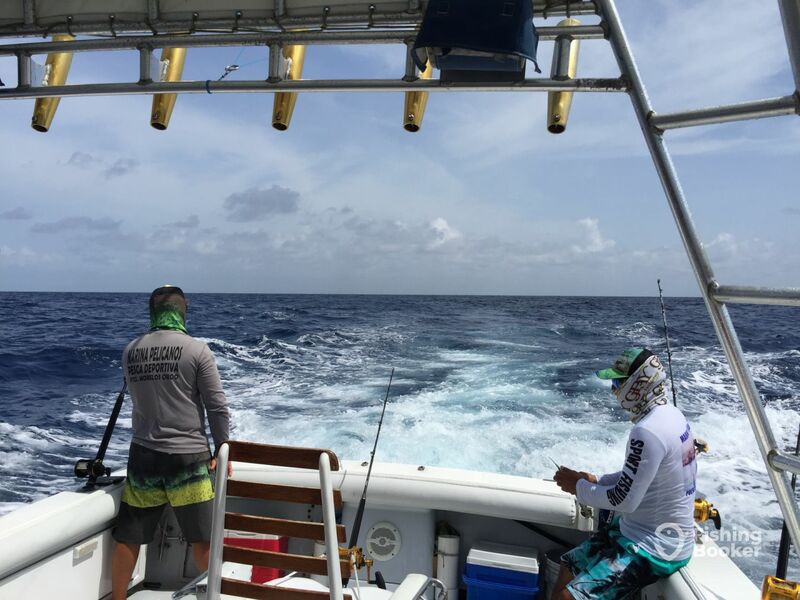 You're in for a thrilling day battling it out with some monster Marlin, stunning Sailfish, Wahoo, and Mahi Mahi. You'll be glad of the range of soft drinks and water on offer as you look to refresh yourself, and the beer will be a welcome reward on the way back. The beauty of Cancun is that it's so close to some of the deepest waters in the Caribbean. 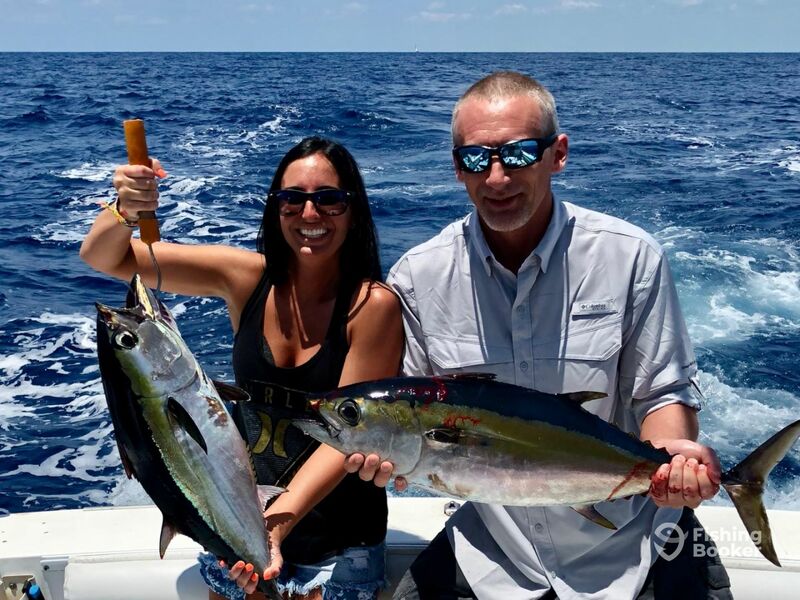 Head offshore and get your fish on, even on a 4-hour charter. 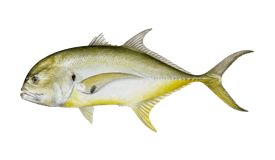 You'll troll the deeper waters, bottom fish the reefs, or even use a handline to reel in any one of a number of monster fish. 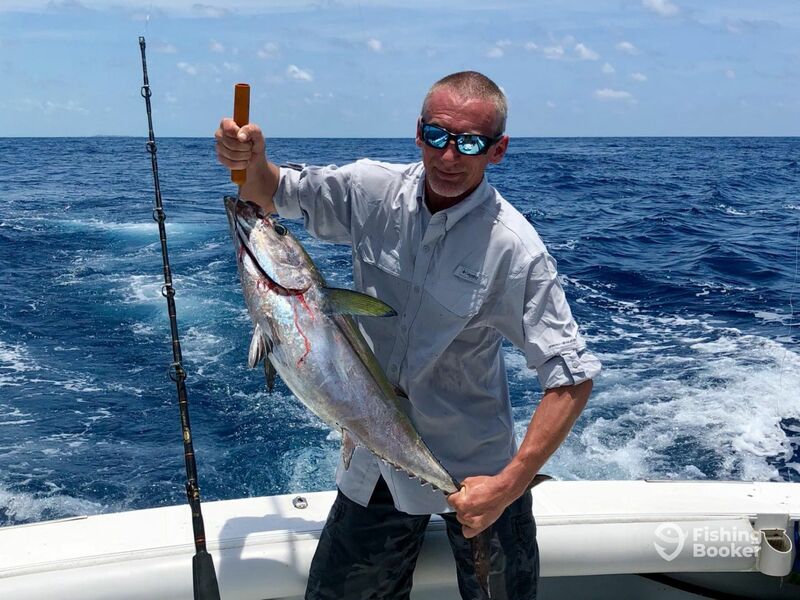 Do battle with Marlin, Sailfish, Mahi Mahi, Wahoo, and many more highly-prized fish, all the while in stunning surroundings. Sit back, grab a beer, and calm down after the thrilling experience of reeling in a massive beast. 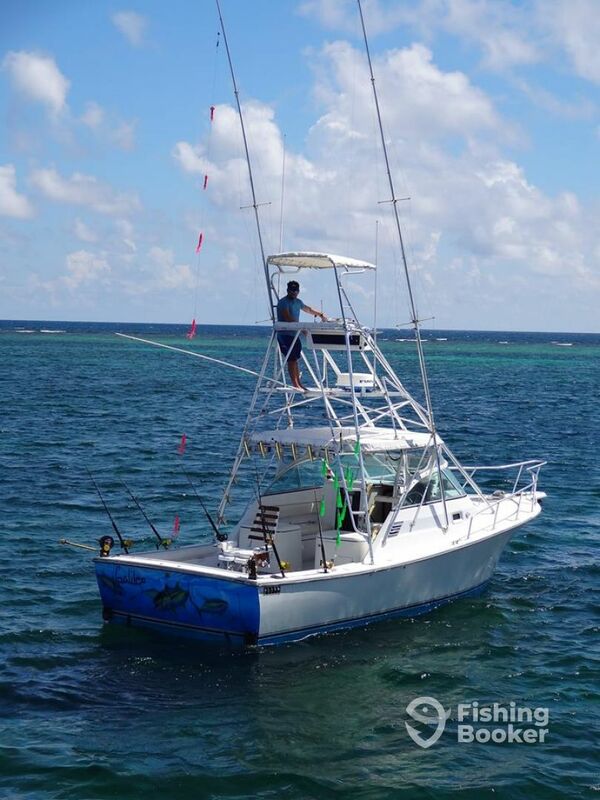 Shamrock Grand Slam (Offshore sport fishing) построена в 2000. Мотор – 2 330 л.с. Cummins, максимальная крейсерная скорость – 30 узлов. 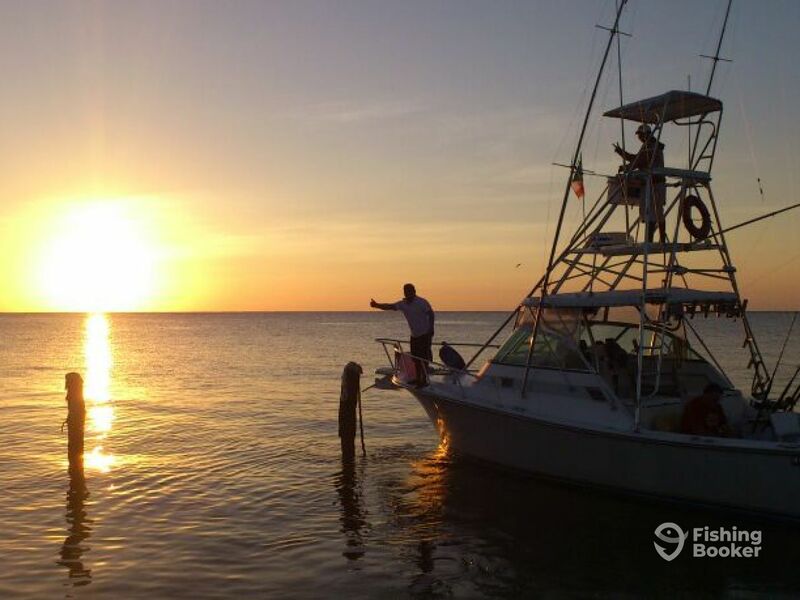 Captain Abraham and his crew work nonstop the entire time you are on the boat trying to guarantee you will catch fish. Although we were unable to catch a sailfish or marlin we were successful catching a few other species of fish. After fishing the captain fixed the most delicious meal I have ever had the pleasure of eating. Thank you captain and crew for a wonderful day. We actually went out on the Don Quino for a full day, while our smaller group went out on the Galileo for a half day. 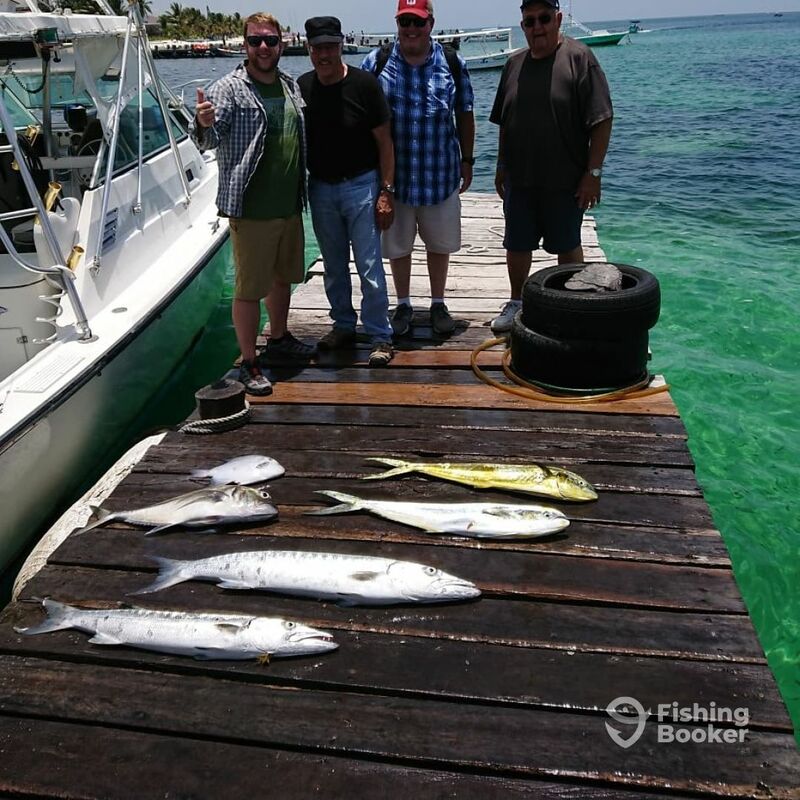 The Galileo group caught a couple small mahi, some barracuda, and trigger fish. 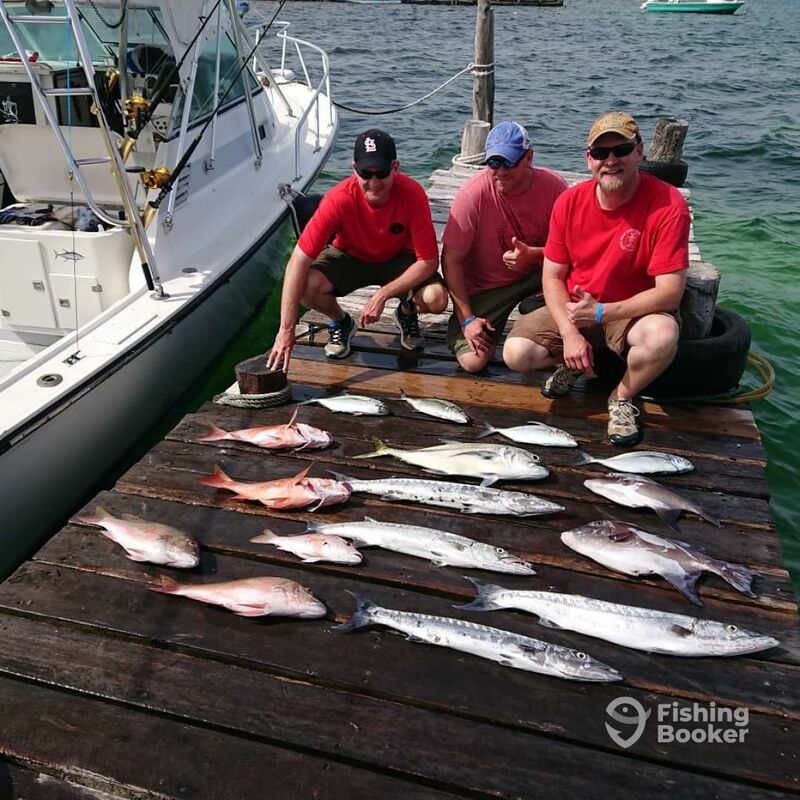 The Don Quino group caught 12 total fish, no monsters but three good sized barracuda, two red snapper, one yellow snapper, a good sized blue runner, and several trigger fish. The captain and crew worked hard to find fish. It was a hot day but we all had a great time. Eating our catch at Pelicanos after the trip was amazing. 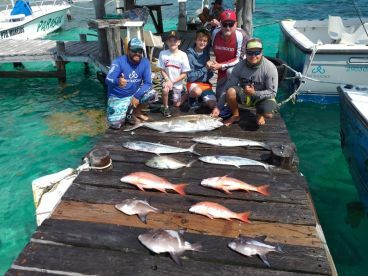 Abel did a masterful job of preparing the fish and several members of our two groups went back for a meal the following day. I would definitely recommend Twin Hooks for any trip in the future and hope I can return some day. Thank you my friends for let us take you out, it was our pleasure hope that enyoing our trips and the fresh fish Dinner afther!! 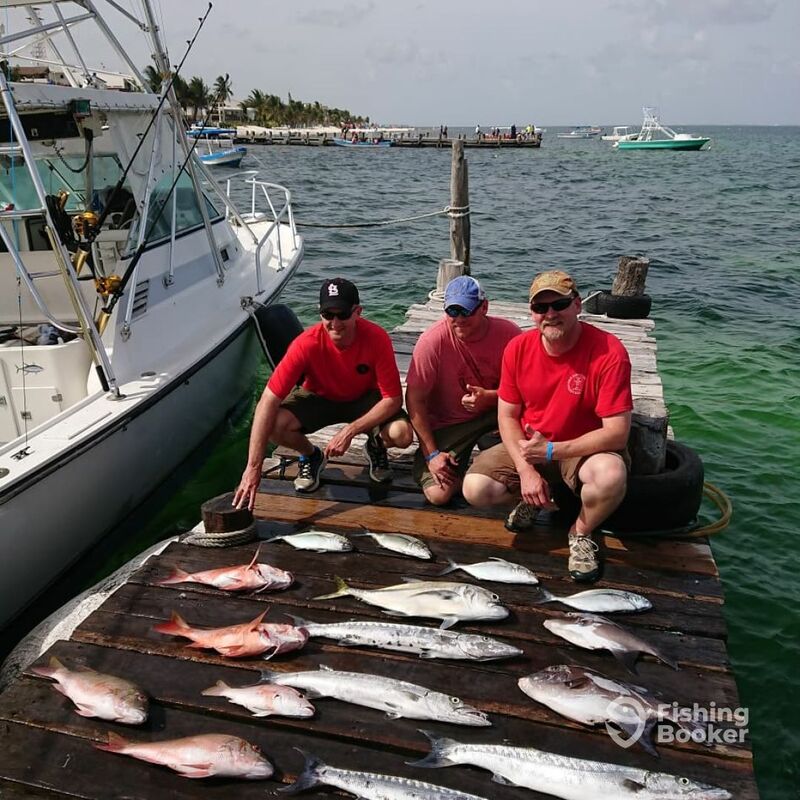 Two of my buddies and I decided we would enjoy a fishing trip while we were all on vacation in Riviera Maya with our families. Being the only one of us who had done this sort of fishing before, I did some research and found Twin Hooks and Abraham on Fishingbooker.com. Twin Hooks was reasonably priced for an eight hour trip, but what really sold me on it was the additional benefit of having our freshly caught fish prepared for us and our families at the end of the trip…for free! Wow! Booking the trip was pretty painless on fishingbooker.com. Abraham was very good about responding to my questions before we arrived in Mexico and kept me apprised of the status of our trip when poor weather threatened. Thankfully, the weather finally cooperated and our trip went on as originally planned. We started bright and early at 7am on the day of our trip and Abraham and his mates, Javier and Eddie, were ready to go. The Galileo was stocked with plenty of beer, soft drinks, water, snacks, and croissant sandwiches for lunch. We wanted to catch some food for our meal and then do some billfishing. Abraham obviously knows his stuff and got us on fish quickly. We caught snapper, triggerfish, blue runners, barracuda, and jack crevalle. Plenty of fish to feed all of our family members and have meat left over. Though we did troll for billfish for quite a while, we didn’t have any luck, but that’s how fishing goes. Sometimes you get lucky and sometimes you don’t. I’m pretty sure the bad weather that didn’t break until the night before our trip had something to do with the lack of billfish. Had we not done the billfishing, we could’ve caught a ridiculous number of fish, but, as I said, we caught plenty of fish and had a great time! 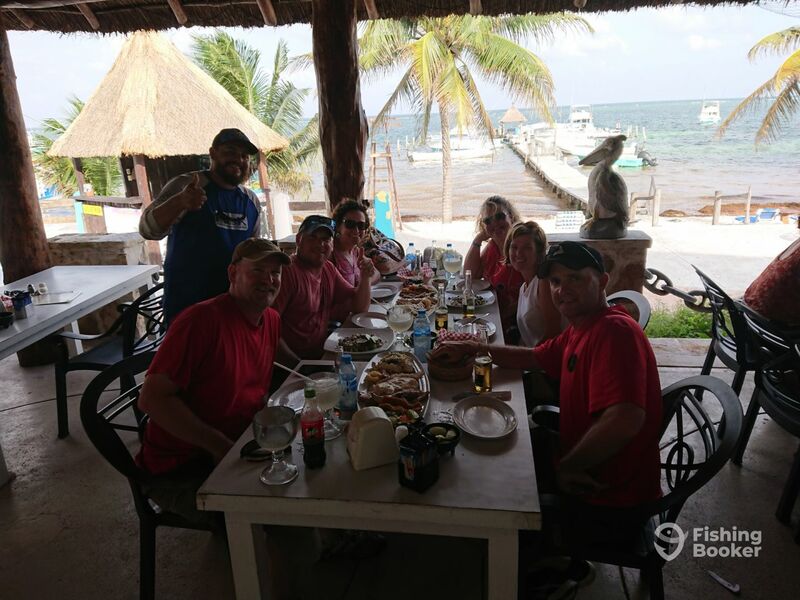 At the end of the trip we were ready for our meal at Pelicano’s Restaurant in Puerto Morelos. 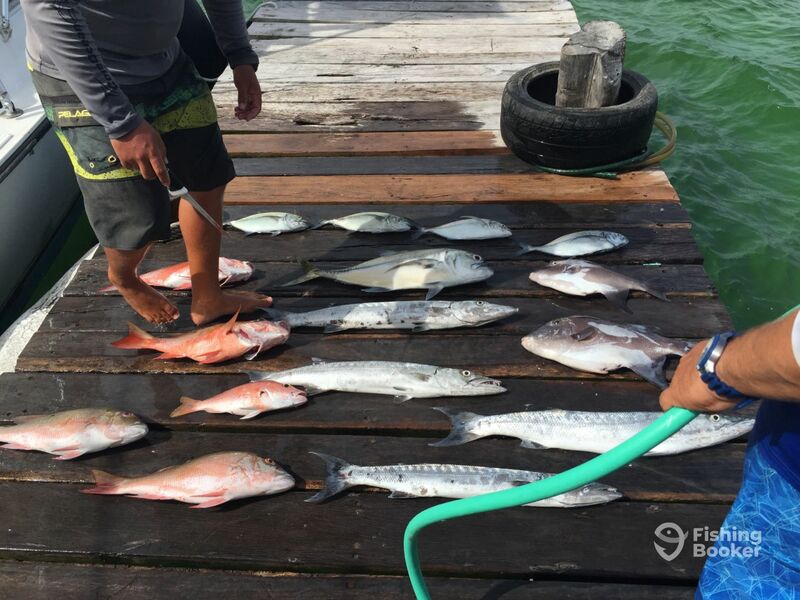 Abraham and crew cleaned and filleted the fish (not a bone to be found) and Abraham, now our chef, prepared our fish for us five different ways, including a stunning barracuda ceviche! Each dish was absolutely amazing and we ate way more than we probably should have. My oldest daughter doesn’t even eat fish, but even she enjoyed the meal. I have to say it was, by far, the most delicious and satisfying meal we had during our trip to Mexico. 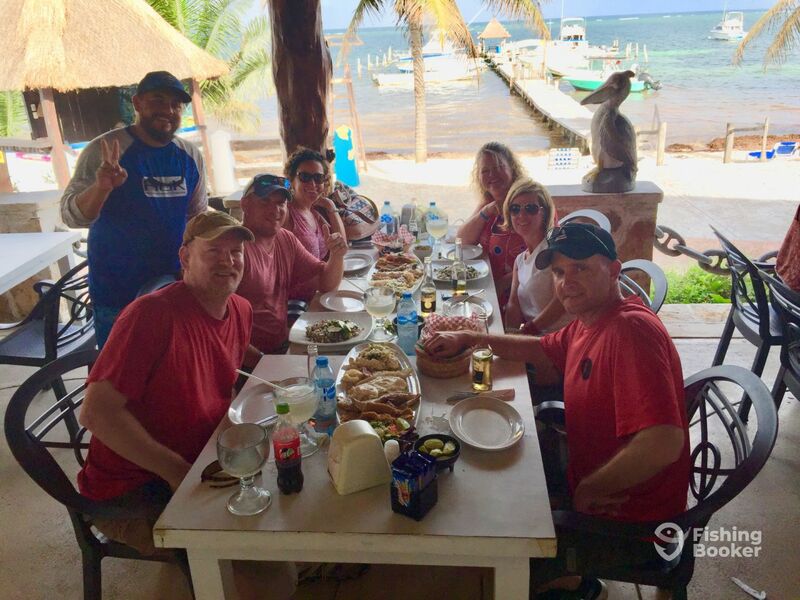 Overall, Abraham was fantastic, the fishing trip was fun and relaxing, the meal was superior (Pelicano’s makes a great margarita, too! ), and it was a fantastic day. Thank you Abraham, Javier, Eddie, and the staff at Pelicano’s! We will definitely book another trip with Twin Hooks and Abraham! Thanks again Mr. Gilreath its was a fantastic day for our Crew too. They say that was they pleasure to fish with you guys! Absolutely no complaints. 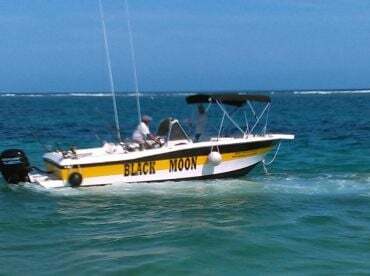 Boat was solid and well maintained, bait had already been caught before we arrived, and he even messaged earlier than the scheduled departure time to start fishing then if we wanted. We had lines in the water less than fifteen minutes off the dock and had a yellowtail snapper shortly thereafter. 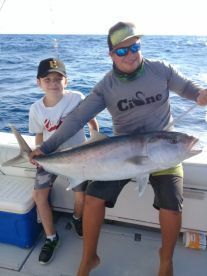 We also caught three large blackfin tuna and one monster blackfin tuna. We actually had two tuna on at the same time which was pretty exciting. I was targeting sailfish and they worked their asses off to make it happen. We had one get into the teasers and hooked up with a second that unfortunately broke the line. It was pretty heartbreaking but that’s how fishing goes, it’s acrobatics after being hooked was enough to make sure we’ll be back to try again! 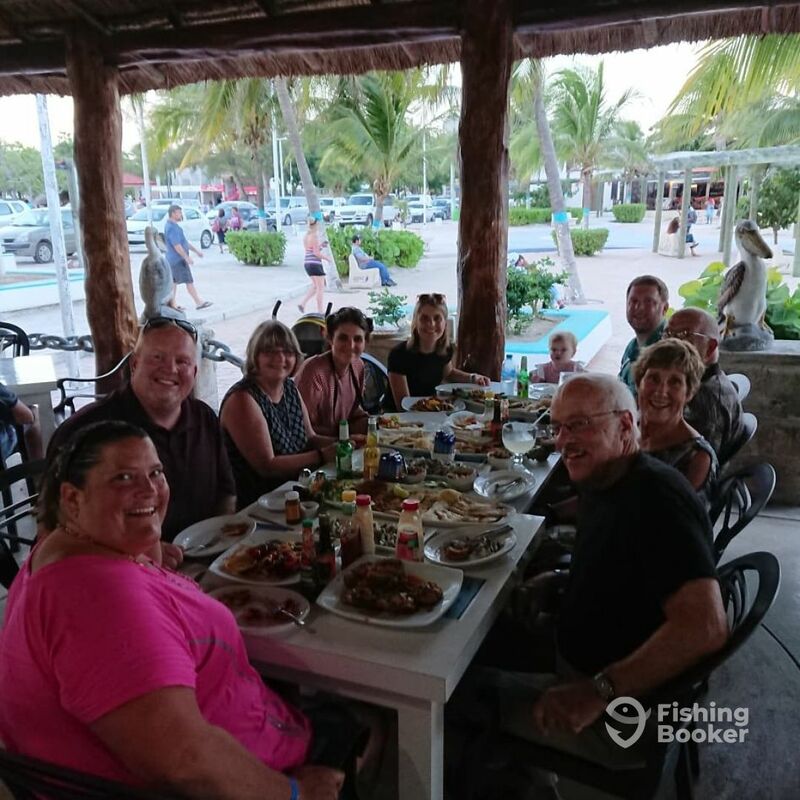 When you return to the dock Abraham personally cooks up your catch and serves it to you in the restaurant Pelicanos that you depart from. Absolutely delicious, make sure you try the arpaccio, man was that good! Like I said, I would definitely rebook. Hey Mr. Meyers thanks for the review, cap. 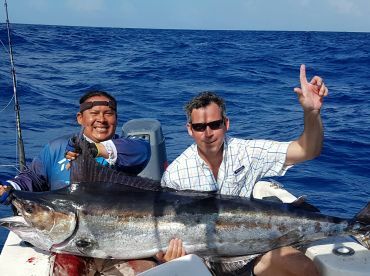 Abrahm tolk us that he dosnt understand how the sailfish broked the line.. His hard was broken too he say the try hard to make your dream come true!!! Tolk us abut what good fight did you have with the stronges tuna.